The coalition amicus brief shows that Maryland's “No Representation Without Population” law is protective of minority voting rights. BALTIMORE, MD – Strongly contending that the Republican-sponsored challenge to Maryland’s landmark 2010 civil rights law, the “No Representation Without Population Act,” runs directly contrary to its plaintiffs’ goal of increased representation for Maryland’s African-American community, a coalition of civil rights groups today announces that an amicus brief has been filed to counter misinformation and defend the landmark civil rights law. The brief was filed with a special three-judge federal court convened to hear the Fletcher v. Lamone case, on behalf of the ACLU of Maryland,Maryland State Conference of NAACP Branches, Somerset County Branch of the NAACP, NAACP Legal Defense And Educational Fund, Inc., Howard University School of Law Civil Rights Clinic, Prison Policy Initiative, and Dēmos. In related news, a separate lawsuit (Little v. LATFOR) brought to challenge a New York law inspired by Maryland’s No Representation Without Population Act was dismissed on Friday by the NY State Supreme Court, upholding the validity of this important reform. In the coalition amicus brief, the groups make clear that Maryland’s first-in-the-nation law requiring the state to count incarcerated persons at their home addresses is protective of minority voting rights. Although incarcerated persons are not allowed to vote, prison populations previously were used to pad the populations of districts that contained prisons. 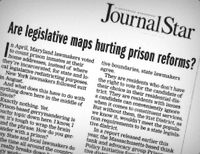 That practice diluted the vote of every Maryland resident who did not live near the prison complex in western Maryland, and had a particularly negative effect on African-American communities that experience disproportionate rates of incarceration. Moreover, the No Representation Without Population Act simply has nothing to do with the core issues in the Fletcher case. 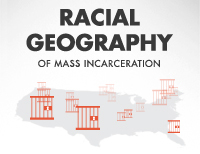 The ability to create a third majority African American congressional district is not diminished in any way by allocating incarcerated persons to their home communities. In fact, the No Representation Without Population Act actually enhances the representation of most of the plaintiffs in the case, precisely because it properly credits the population of African-American communities. Passage of the No Representation Without Population Act was supported by a strong coalition: the ACLU of Maryland, Maryland State Conference of NAACP Branches, the Somerset County Branch of the NAACP, the Prison Policy Initiative, and Dēmos. The Legislative Black Caucus of Maryland played a key role in securing the bill’s passage, especially the leadership of bill sponsors Senator Catherine Pugh (D-Baltimore City) and Delegate Joseline Pena-Melnyk (D-Prince George’s).